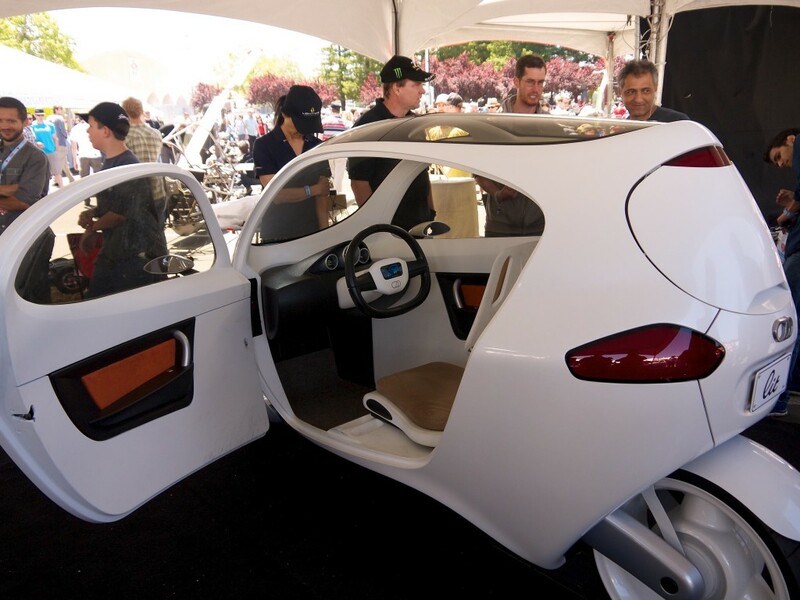 What does that car of the future look like? There is no one answer; in this world, the car that is sent to pick you up can be tailored for your trip. The more people traveling, the bigger the car. If your trip does not involve a highway, it may not be a car capable for the highway. With Mobility on Demand, you don’t buy a car, you buy rides. That’s certainly Uber’s plan, and is a plan that makes sense for Google, Apple and other no-car companies. But even Daimler, with Car2Go/Car2Come, BMW with DriveNow and GM with Lyft plan to sell you a ride rather than a car because it’s the more lucrative thing to do. 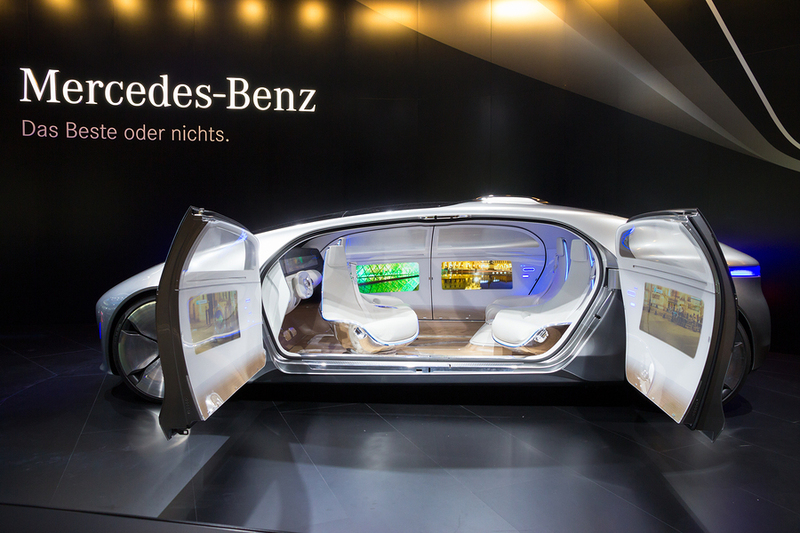 So, what does that car of the future look like? There is no one answer; in this world, the car that is sent to pick you up is tailored for your trip. The more people traveling, the bigger the car. If your trip does not involve a highway, it may not be a car capable for the highway. If your trip is up to a mountain cabin, it’s more like an SUV, but maybe not using an SUV to get a bottle of milk, like we do today. If it’s for a cruise to the beach on a sunny day, the roof may have been removed at the depot. If it’s for an overnight trip to a country home, it might be just beds! I’ve outlined many of these changes in this article on design changes in cars but today I will focus on the incredibly cheap and simple design of what should become the most common vehicle made, namely the car designed for a short urban trip by one person. That’s 80% of trips and around 45% of miles, so this should be a large fraction of the fleet. I predict a lot of these cars will be made every year — more than all the cars made today, even though they are used as taxis and shared among many passengers. A car for 1-2 people will be small. It will probably be around 1.5m wide, narrow enough that you can fit two in a lane, and have it park efficiently when it needs to wait. If it’s for just one person, it won’t be very long either. For two people, there will be a “face to face” configuration which is longer and a “tandem” configuration, which is a bit shorter. The 2 person vehicles aren’t a lot bigger or heavier than the one person, so they might be the most common cars since you can serve a solo rider fairly efficiently with one, even if not perfectly efficient. The wheels bank independently, allowing the vehicle to lean like a motorcycle when in corners. This is the best solution, but it costs some money. Alternately, it’s a two-wheeler, which is also able to lean, but has other tricks like the LIT Motors C-1 to stay upright. It never goes on fast roads, so it doesn’t need to corner very fast, and its precision robot driving assures it never corners so fast as to becomes unstable and also plans its route accordingly. The car already has a big win when it comes to aerodynamic drag by only being half-width. The non-highway version probably gives back a bit of that because you don’t need to worry as much about that if you are not going fast. Energy lost to drag goes up with the square of velocity. So, a 30mph car has 1/4 the drag of a 60mph car, and 1/8th the drag of a similar car of full width. The highway car needs to be shaped as close to a “teardrop” as you can, but the city car can get away with being a bit taller for more comfortable seating and entry/exit. The most efficient and safest design would be a teardrop with a backwards-facing passenger, but many people don’t like facing backwards. Though in a forward crash it’s the best direction to face. 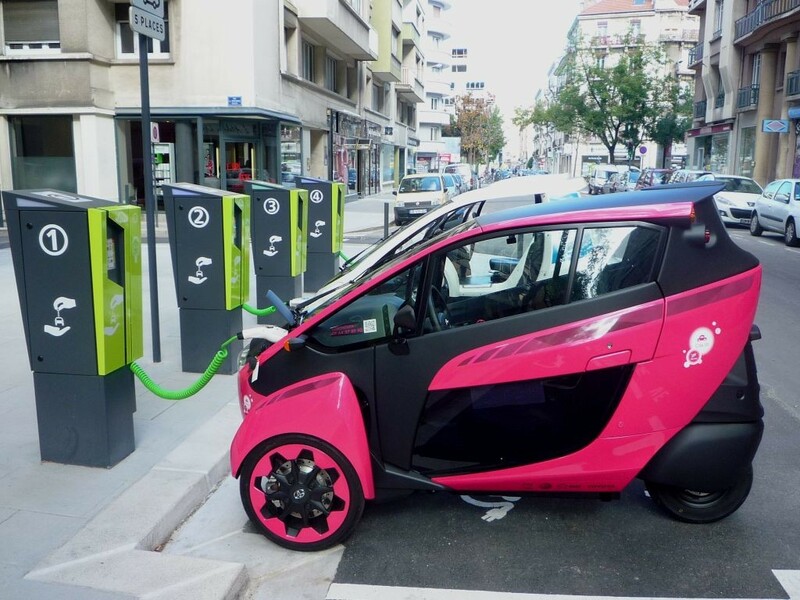 You don’t care about the powertrain in your taxi, but the fleet manager cares, and various reasons suggest electric might be the way here, especially for the city car. Public policy may also push in that direction, for zero tailpipe emissions and lower overall emissions in non-coal areas. The main disadvantage is the downtime of the vehicle during recharge. That’s not an issue for you as the passenger; you never see that. You can answer it by having more cars, battery swap or occasional supercharge sessions during the day. Just as the electric powertrain has vastly fewer parts than the ICE powertrain, this car also is much simpler. While there will be cheap versions and luxury versions, many of the things we see in cars today vanish. For a short urban trip, a “box on wheels with a chair in it” is not a bad description of what you actually want. Some customers are still going to want some style, of course, but the bodies will be simple. Possibly just one door — the car parks in a way that your door is pointing the right direction. If it’s for tourism, a big wide windshield might still be present, but otherwise, it’s easier and safer to have a segmented window. It does have mounting points for robocar sensors, of course, that’s the one thing that adds cost over a regular vehicle. We probably still want side windows that can come down, and locks we can control, but the windows might be simpler than they are today. The window on the side that has no door is probably easier to build. Unlike a human driven car, however, these windows will legally be able to tint. LCD variable tint might be a nice luxury feature. No side-view mirrors, of course, and no rear-view mirror either. But that’s inside. The seat can be spartan or luxurious, but it may not need to move around as much. If you’re alone in the car it would be fixed at maximum legroom. Luxury vehicles will have motorized recline or other adjustments as they do today, but since the trips are short, fancy features like lumbar supporters and massage are less important. Armrests might be fixed. You’ll want places to put things, particularly cupholders for drinks and charging stations for your devices, and a convenient place, probably at your feet, to put your bags. There will be a fold-out table, and also a fold-down screen. For security reasons, it should not offer a keyboard or mouse that you would connect to your devices (that means giving control of your devices to a potentially hacked keyboard) though if it has its own small general purpose computer it could offer those. Mostly the screen would exist for use by your devices, when they want to offer you a bigger screen for work or videos. You don’t really need a glove compartment since you don’t keep things in this car, but it might want to have a small cabinet with useful supplies that people need — tissues, cloths to wipe up spills, and possibly a booklet for major failures. The most obvious thing missing though are the controls and the dashboard. They are almost entirely gone. You will use your own phone for entertainment and information, even to issue commands to the car. A small tablet might be found as well, showing background information and allowing control in situations where your phone is unsuitable. While it would require some standardization, it would be nice if there were a slot that could accept most phones and tablets and offer them wireless power, plus connectivity to the screen and a one-way feed of data from the car. (For security reasons, communications to the car’s driving system from your untrusted phone must be tightly constrained.) It’s possible that the car might offer a superior mobile data connection to your device since a robocar needs its own mobile data connection and has the opportunity to have a well-placed antenna and more power. On the other hand, you may still want to use your phone’s data connection as your phone will usually be newer and have a better one. There might be a pop-out control for the car in breakdown situations, such as a handlebar that pops out or a joystick that lets you move the car slowly, video-game style. It would not be for driving at speed or even human takeover in an accident situation, just a low-cost device to let you do things like gets the car off the road in the event of major breakdowns. Cars which go out into the country might have fancier controls to let you drive dirt roads, driveways or other unmapped spaces. Will there be a fancy sound system? Well, people will want music and video in the cars and the electric engines will be less noisy. On the other hand, quality noise cancelling headphones might offer an even better experience, aided by only a subwoofer or vibration elements in the seat. And they could even offer different audio to each person if there are multiple occupants. They will probably be cheaper than a fancy sound system, too, and can be brought by the passenger if some cases. They also can be easily upgraded. More economical cars might have none of this — no screen, a fixed seat, bring your own headphones — and still be quite suitable for many riders. You aren’t spending an hour in this thing, you’re spending 15 minutes. You will mostly spend it fiddling with your phone and care about little else. We will want climate control, but robotaxis offer some interesting alternatives. While heat will mostly come from the battery cooling system, it’s possible that some heat and cooling could come in a much simpler way. The car could stop by a depot for a load of ice or other pre-chilled coolant good enough to keep the vehicle cool for an hour or two. Then it would reload. With short rides, you won’t know or care how it’s done, but this could be a better choice than having an air conditioner and sucking battery power. Heat in very cold areas could also come this way, or with some GHG emissions, by burning a liquid fuel, or a biofuel. The small electric taxi may also be granted permission to go inside buildings, so you enter and leave primarily in climate-controlled places, reducing its need for powerful climate control. During bitter cold periods, the cars could go to heating stations (or electric stations) to keep their interiors and batteries warm. While this car strips out things like pedals or a steering column, it does have a few things over and above the traditional car. It needs two redundant steering systems and two redundant braking systems in particular, because the human is not there to provide alternatives if one fails. And of course, it has the sensors and computers to make it drive itself. The suspension also changes. It may get more expensive in higher end vehicles as it offers a super smooth, “no feel of the road” ride to those that want it because they are no longer driving. This car is small and simple, much fewer moving parts and general parts than the typical car made today. It’s light and efficient and electric. Small, simple and light translates into cheap. Very cheap. As the computer/sensor pack drops down to the $1,000 range over time, and the batteries drop in price to $150/kwh, this car becomes a lot cheaper to make than traditional cars. Cheaper to make means cheaper to sell. Sold by the mile for around 25-30 cents/mile (compared to today’s cars which are around 60 cents/mile if you could buy them by the mile) this is cheaper even than a bus ticket for many rides. Billions more people will be able to access car transportation than can do so today, when you must put down many thousands of dollars to get in the game. That means big sales of these and other vehicles, and that also means even lower prices.